This postcard won’t be mailed out. 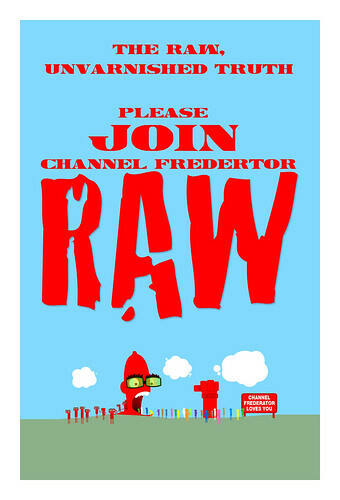 You’ve been invited to join Channel Frederator RAW, our popular cartoon social network, twice already. 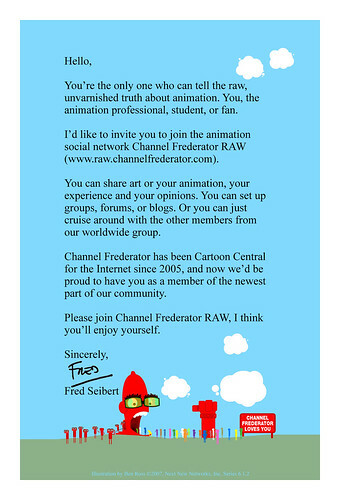 But, believe it or not, everyone in the worldwide animation community doesn’t read Frederatorblogs! So I thought we’d go to where they are. Hence, this promotional postcard that we’ll leave when we visit schools, festivals, and studios. OK, so Ken Dickerman beat us to it in the cool sweepstakes. Thanks for making my day.